Newington, CT Electrical FAQ: What’s Wrong with My Electrical Equipment? Are you having trouble with the electrical equipment in your Newington, CT area home? While you should call an electrician for any type of electrical work in your home, it’s a good to have an idea about what could be wrong with the equipment. Electrical Connection is here to help. We’ve put together a list of some of the more common electrical problems and service calls that we get. If an outlet has gone dead, there could be a simple solution. Make sure that you know how to reset any GFCI outlets in your home. These are usually located in kitchens and bathrooms. Also, check your breaker box for a flipped switch. If these don’t work, you could have a poor connection somewhere in your home. Call an electrician before you troubleshoot any wiring or other electrical equipment. Many times a wall switch can get overheated, especially dimmer switches. If there is excess heat at a receptacle, you should call an electrician immediately. If you have two switches controlling a pair of lights and one switch goes bad, this could be from improper installation. If there’s a switch in your home that doesn’t seem to control any electrical equipment, the receptacle may have been disabled. We see this issue a lot in older homes or with homeowners who are not the first owners of the home. Another cause could be that over time, the switch has just gone bad. Feel free to call us, and we’ll send a technician to your home to take care of it. If your electric bills seem to be higher than normal, there are many potential causes to this. We can provide you with tips on ways to save energy; however, if your bills have suddenly spiked, keep in mind that there could be a problem with one of your home’s major appliances. 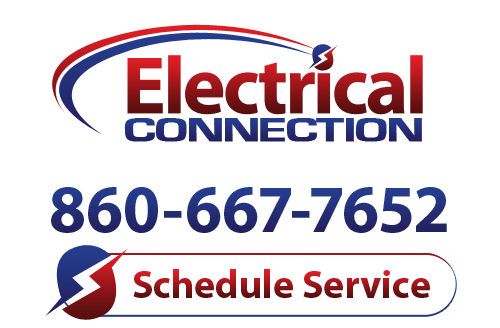 Don’t hesitate to call the Newington, CT electricians at Electrical Connection to fix all your electrical problems.